Your CCCK8 PTSA wishes you and yours a beautiful and happy winter break. Enjoy the time off from school. We’ll be ready to welcome you back in 2015! Not too late for Evergreens! Because we have to order some of the Evergreens in cases, it is not too late to order from a limited inventory of the Evergreen options. 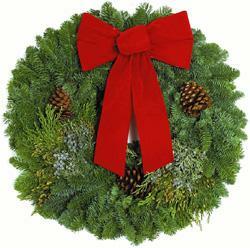 The complete list of products, order form and pay online option are available at http://ccck8ptsa.org/2014/12/02/thought-you-missed-your-chance-for-evergreens/ Please feel free to pass this opportunity on to your neighbors, friends and family. Orders will be delivered the week of December 15th. Writers in the School – In conjunction with the school, we are bringing a fantastic writing program to our school called “Writers in the School.” It is a 10-week program where writers will work with students to write pieces which will be included in an anthology book. Through a significant grant, we were able to cover half of the costs of this program. 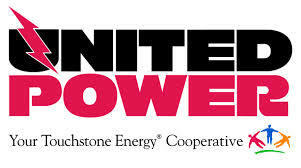 We also received a large donation from United Power. We still have significant funds to raise for this program which need to be mostly collected by December 24th. Please go online to our website to make a donation to help cover this amazing program for our students. Save the Date: Homework Help Night: Science Fair January 9th from 6:30 – 8 pm. Come to the school and dedicate some time to work on your Science Fair projects the week before they are due. Due to winter break the PTSA/C3AC meetings will be held on January 12th. Grades K-4 Drawing with Young Rembrandts Our K-4 students will learn new techniques using color pencils, markers and Sharpies. A Lego-inspired drawing and a composition featuring a detailed scorpion will provide fun, artistic challenges with Young Rembrandts. All materials are provided. Class is limited to 18 students. Last year’s class was very popular! 6 classes for $60, to be held on Tuesdays in the Art Room, 3:30 – 4:30 p.m., Jan. 27 – March 3. Registration is already available online at www.youngrembrandts.com, or contact Carolyn Strong at carolyn.strong@youngrembrandts.com with questions. Grades K-2 Spanish 101 with Ms. Pancoast A 45-minute Spanish 101 class will be held in Ms. Pancoast’s room on Thursdays after school, 3:30-4:15pm. Tentative schedule: three 5-week sessions that build on topics covered in the prior session: Jan. 22 – Feb. 19; Feb. 26 – April 2; and April 9 – May 7. Class size will be limited to 12 (first come/first serve). 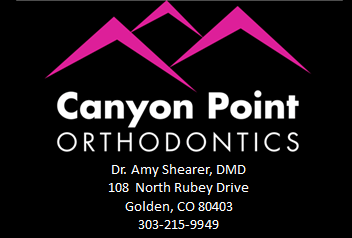 Cost details will be provided in the Friday Notes on January 9. Grades 5-8 Co-Ed Strength Training Club with Christine Neff Keep active this winter by joining the strength training club! Students will learn about good body mechanics and how to get stronger, and start designing their own personal fitness plans. Classes will also cover how our attitude and physical presence affects those around us. If you have any questions about joining the program, please email Christine at tineneff@yahoo.com. The club is limited to 12 participants (first come/first serve). The dates are Jan. 21 – Feb. 18 (5 Wednesdays) for $50. Two scholarships are available for students on the free/reduced lunch program. Permission slips and registration for Spanish and Strength Training Club will be available January 9.